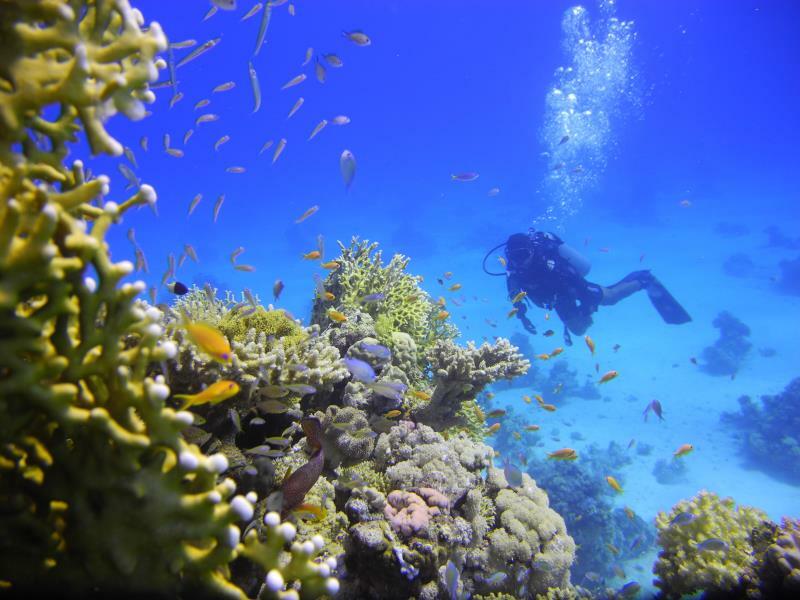 The island of Tiran is located at the southern end of the Gulf of Aqaba, which is a 2'000 meter deep cut in the bottom of the ocean. Here the Gulf narrows and becomes shallower. With the change of tides, huge quantities of water flow through this bottleneck and cause very strong currents. In the center of the Strait of Tiran, a ridge pushes up, running from north to south. On its highest elevation four coral reefs (Gordon, Woodhouse, Thomas and Jackson, which are named after British cartographers) have formed. 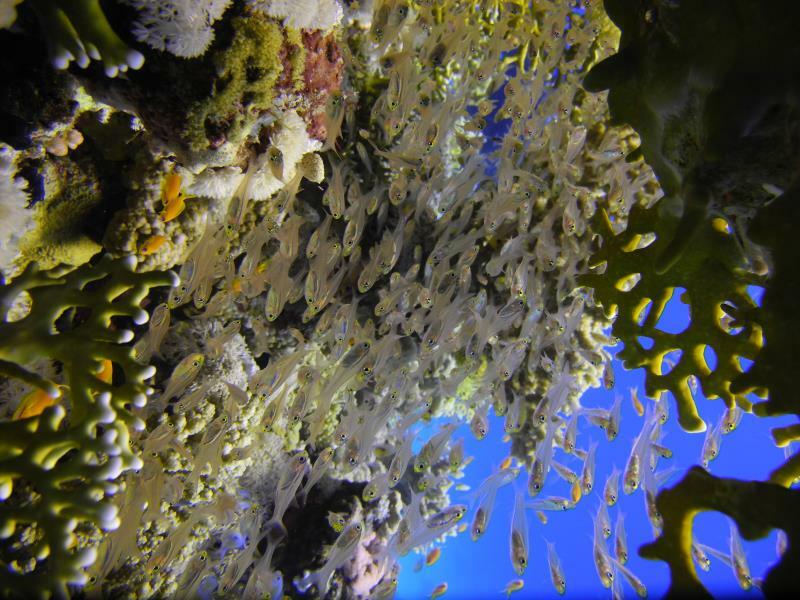 The currents around these reefs are the cause for the extraordinary diversity of corals and big fish swarms. 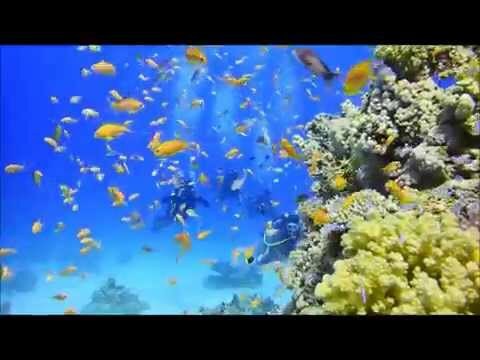 Among others, you can see barracudas, snappers as well as sharks. 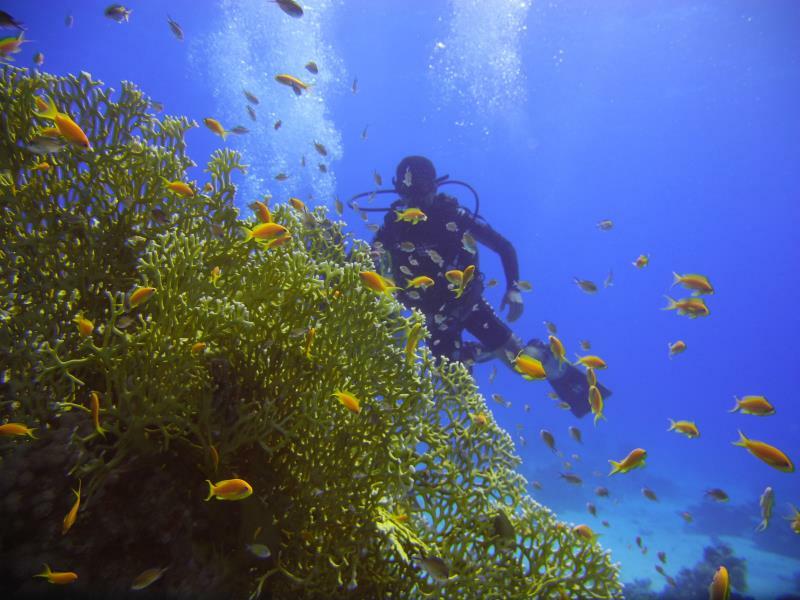 These dive sites can be reached by boat around one hour cruising time from Naama Bay.